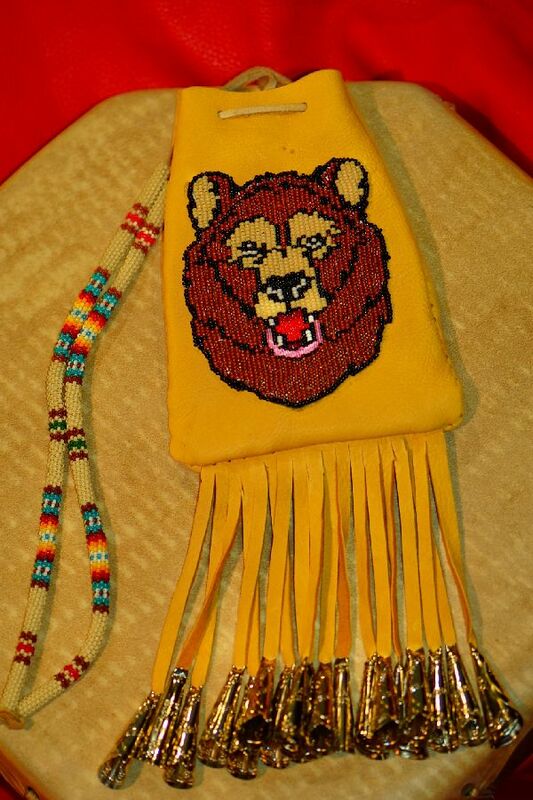 Are you looking for a quality authentic Native American Medicine Pouch for your use or collection? 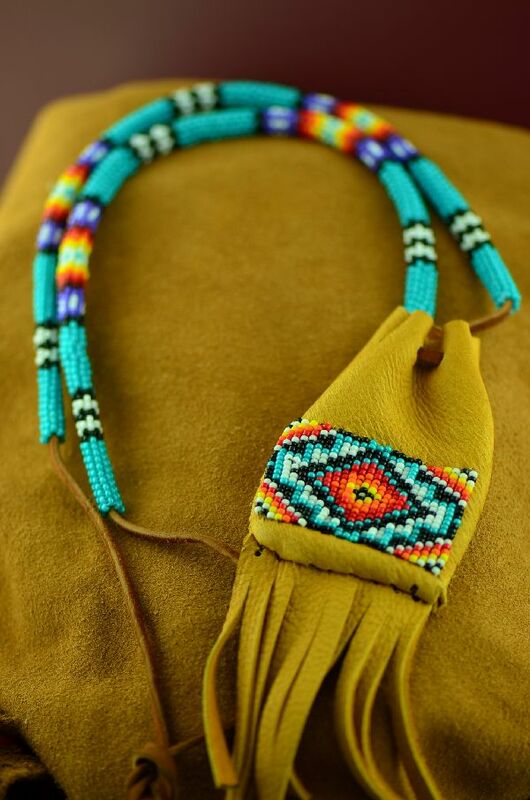 This is the perfect one! 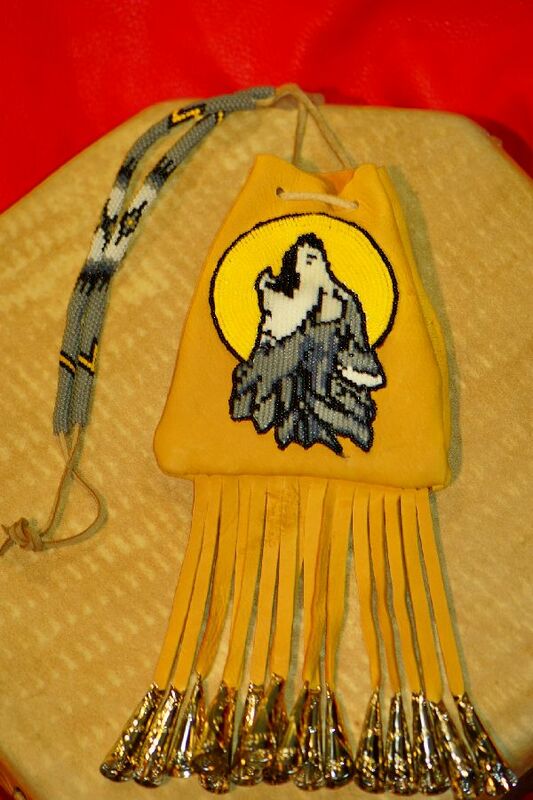 This wonderful piece was masterfully hand crafted by Michael J. Endfield who is White Mountain Apache. 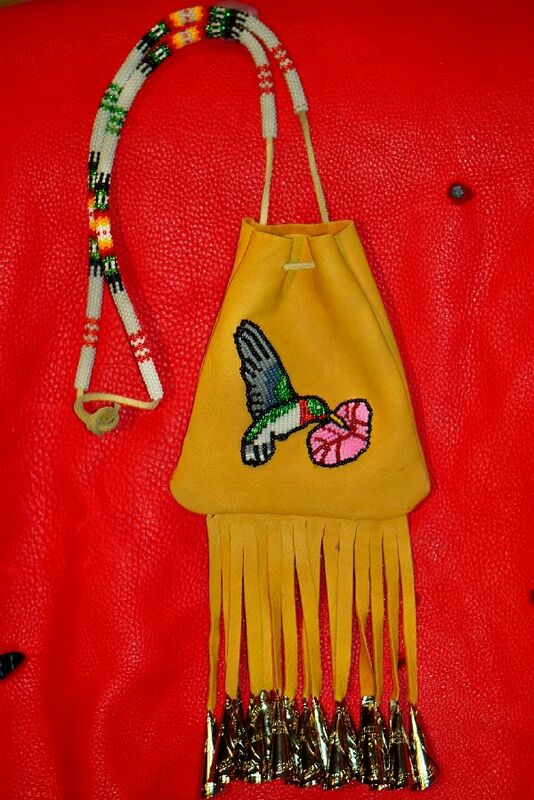 The artist has handcrafted the medicine pouch out of soft deer hide. 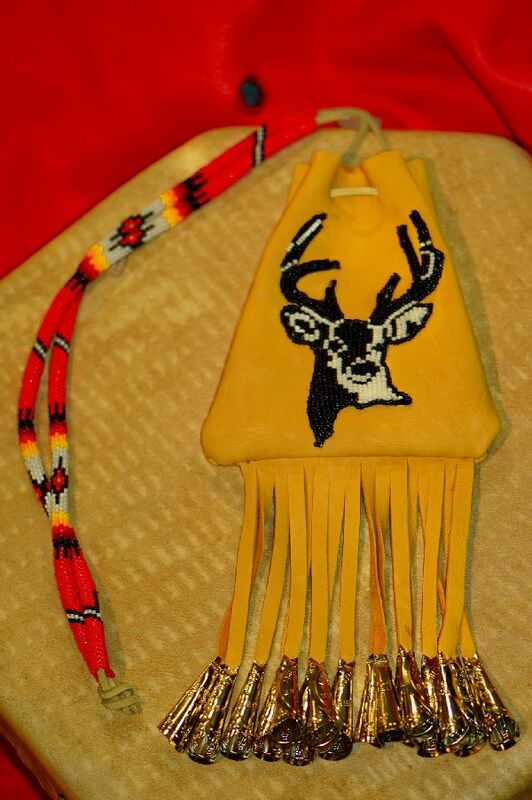 The front of the pouch is intricately hand-sewn with beads that are white, yellow, red, orange and black. 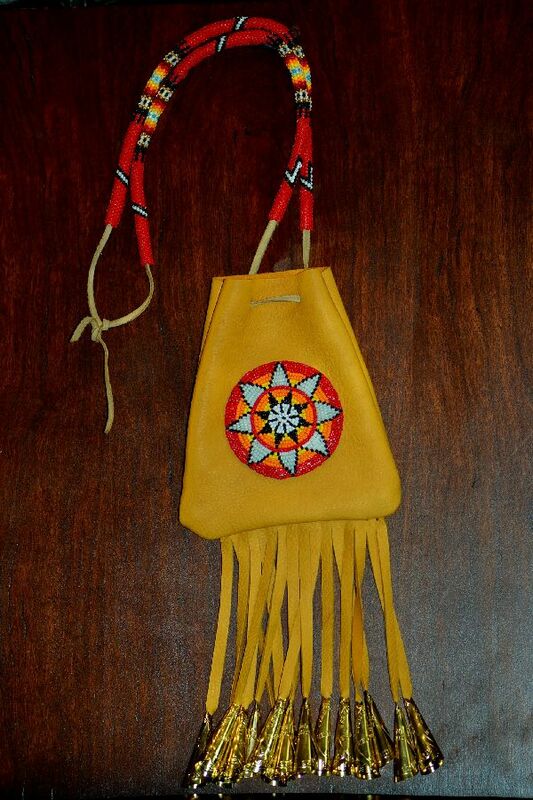 The design depicts a starburst and measures 2-5/8” in diameter. 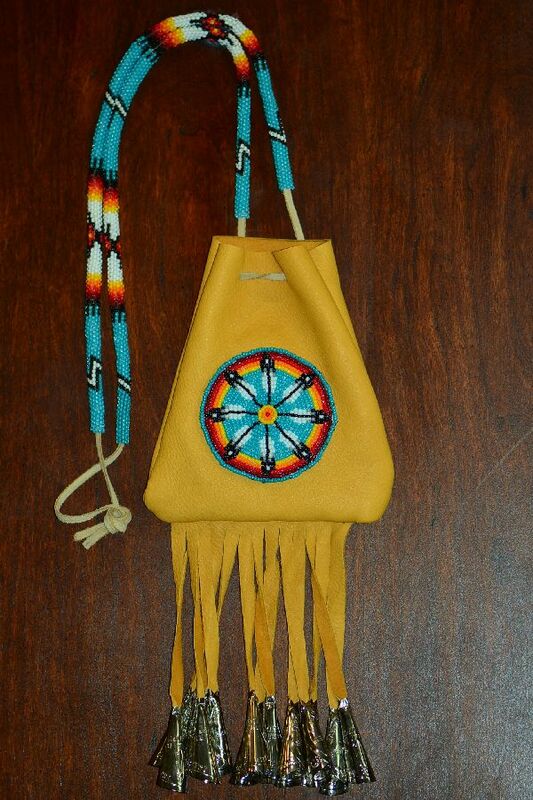 The pouch measures 11-5/8” tall by 5” wide (including the 16 fringed gold tin cones). 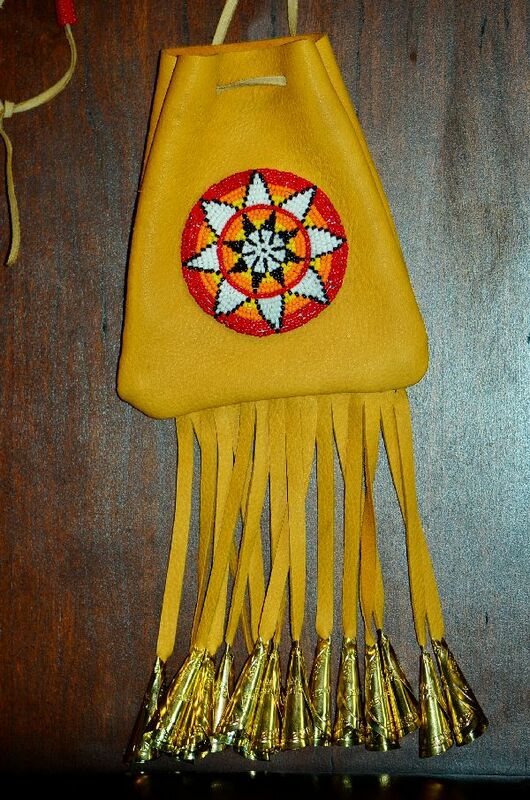 The beadwork going up the sides of the leather neck strap measure 11/1/4” long and is 3/8” in diameter and includes beades made of white, yellow, red, orange, blue, gold and black. 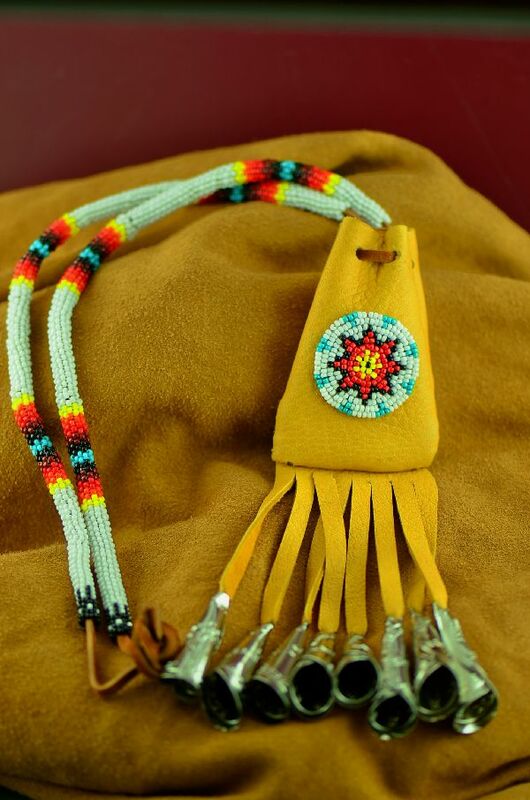 The overall length of this wonderful piece measures 26 inches.